By 2020, 15 million Chinese households will be earning US$35,000, with a further 102 million householders earning US$15,000. 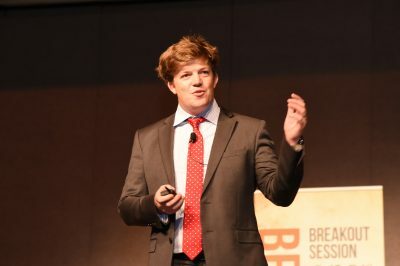 60 percent of meat consumption in China is pork, but there is a generational change in consumption trends, Ian Lahiffe, from Allflex Livestock Intelligence based in Beijing, told an international audience of cattle producers at the recent Alltech One Conference in Lexington, Kentucky. The ‘convenience’ generation is connected, rarely cooks, and eats out or orders in, he explained. When they order, beef is their first choice. “It’s providing an incredible opportunity,” Mr Lahiffe said. To put China’s rapidly growing demand for imported beef in perspective, China expects to import 1.3 million metric tonnes of beef by 2030. That is double the 650,000 metric tonnes it imported in 2016. Mr Lahiffe provided the example of China’s ChaoShan hotpot chain, which is growing exponentially with 2500 stores in Shanghai alone. Each store needs one carcase a day. “One animal per day for one type of restaurant, it’s a huge headache for Chinese restaurants,” he said. Mr Lahiffe said China doesn’t have the land to increase domestic production to meet its demand requirements, and is committed to importing the meat it needs. “China is a net food importer and very happy to outsource. It’s an official policy and in their five-year plan,” Mr Lahiffe said. “It’s also a trade strategy. They have 1.4 billion consumers and they use that for better access. China has 20pc of the world’s population but 7pc of the world’s arable land. However, to China’s north and west are huge tracts of undeveloped land, where Chinese backed start-ups would mesh with the Government’s ‘One Belt One Road’ initiative. “Investment is going to Ukraine, Russia, Kazakhstan, and this could have a huge impact on the global food chain,” he said. He suggested potential start-ups could mirror Russia’s leading beef producer, Miratorg, which started producing marbled beef in 2013 and now produces more than 62,000 tonnes a year. $1 billion has been invested in what is now the world’s largest Angus facility. Miratorg runs 400,000 Angus across 63 farms and aim to have 1 million head by 2020. The US grading system is used to judge beef quality. Although China opened its market to the US in 2017, less than 3pc of US beef production meets China’s demand for hormone free, and less than 15pc meets traceability requirements. Mr Lahiffe said China currently relies on four exporters – Australia, Brazil, New Zealand and Europe – in addition to the ‘grey’ trade – the illegal importation of cattle and beef across its various land and sea borders. He said some 5000 head of beef cattle is illegally brought across from India to China every day. At the same time the eCommerce market is disrupting traditional food distribution channels. Chinese online retail giant Alibaba is now one of the major seafood importers in the world. It has eliminated the need for traders, which in the beef industry earn much more than farmers, and now delivers straight to the consumer. “They get direct feedback so have incredible data on the consumer experience. This presents a huge opportunity for beef,” Mr Lahiffe said. Mr Lahiffe said consumers have a strong preference for imported foods based on food safety, and desire to have the best. Mr Lahiffe said Australia is in a “very good” marketing position for beef. Alltech Lienert Australia funded Stephen Cooke to attend the Alltech One Conference in Lexington, Kentucky.